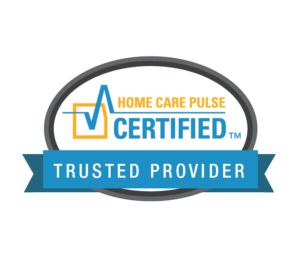 Care Right There Home Healthcare LLC’s is an award winning top home healthcare company. Their mission is to bring exceptional healthcare and connection services into the home through innovation and unmatched compassion. We are committed to providing professional and paraprofessional services to patients in their homes assisting to achieve the highest level of potential in their day-to-day self care activities. 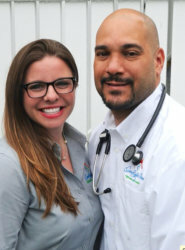 We are committed to providing high quality, multidisciplinary care by professionals who recognize the need for comprehensive assessment of needs from both the patient and professional’s point of view. A professional, dependable provider of services tailored to meet individual needs. A level of services that meets the healthcare industry’s highest standards. 24-hour service, including most major holidays and weekends. A cost-effective solution for patients in the hospital or at home who need companion services from trained, screened, and credentialed home care professionals. Response time for providing care is quick- often within 24 hours and the same day. A critical part of our foundation is the ability to match your loved one with a caregiver best suited to his or her needs. Regular assessments by management to ensure client satisfaction. Free consultations, In Home Safety Assessments and a Device/Technology Survey to see how Care Right There can keep you connected. We believe in investing in our Caregivers and making sure they feel they are matched well with our clients. Unlike most other companies we encourage relationships between our caregivers and our clients; it’s all family for us! CALL US NOW at 856-244-7722 and schedule a FREE In-Home Assessment. We are an equal opportunity employer and provider of services. Pursuant to Title VI of the Civil Rights Act of 1964 and Section 504 of the Rehabilitation Act of 1973, our management team and staff shall protect the right of clients to equal service provision without discrimination for race, color, sexual orientation, age, disability, gender, religion, national origin, economic status, or social status.